Early people knew the importance of trees and manifested their respect by believing that gods and spirits inhabited them. Today, we know the scientific basis for the impact of trees in our world. 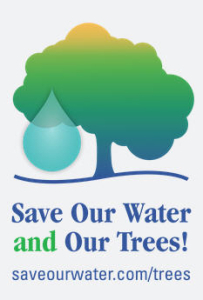 Trees supply the atmospheric oxygen we breathe and sequester the carbon dioxide emissions that cause global warming. Trees provide the habitats necessary to maintain the rich animal biological diversity so threatened by the continual destruction of our tropical rain forests. Trees also produce wood for buildings, furniture, boats, pencils, toys, fuel, and pulp for paper. In addition, fruits, oils, spices, chocolate, resins, and cork are produced by trees. Trees also play an important role in our urban environment. As citizens of Riverside, we are very fortunate that our founders planted many species of trees from all over the world for us to enjoy. Among the most valuable legacies are the trees of Victoria Avenue. Here, I describe some of the environmental, climatological, and aesthetic values of our urban forest. Soil Protection: Trees hold soil in place and protect it from destruction by exposure to sun, dry winds, and erosions from heavy rains. Also, leaf litter and shade provided by trees produce the raw materials for and reduce soil temperatures which promote the natural soil organisms (worms, insects, fungi, and bacteria) to manufacture the organic matter (humus) of productive soil. Solar Radiation Control: In Southern California, intense solar glare and its glare and heat reflections off sidewalks, streets and buildings can be oppressive in the summer. Trees produce shade by absorbing light and heat. Shady areas are often 10 degrees cooler than surrounding sunny areas. Buildings and homes shaded by trees, especially on the southern side require less energy use in air conditioning. Wind Control: The destructive forces of high winds are well known to inhabitants of Southern California. Trees reduce wind speed by providing resistance to the wind and altering its flow. Trees are often planted as wind breaks along the edge of properties. Noise Abatement: Noise caused by traffic, machines, and crowds can be eased by trees which absorb, deflect and scatter sound waves. Atmospheric Purification: The branches and leaves of trees remove air borne dirt, dust, pollen, smoke, and fumes from the air. Plants also absorb air pollutants and bind them in their tissues, to their own detriment. Humidity Control: Trees intercept and filter precipitation, hold moisture in the soil and transpire water into the air from their leaf surfaces. Aesthetic and Architectural Uses: Trees, shrubs, and herbaceous plants are beautiful! They enhance the beauty of a building, soften harsh surfaces, articulate space, screen unsightly areas, and provide privacy. The landscape of a home is a major component of its property value. Have you thanked a green tree lately? Reprinted from Summer 1997 Victoria AveNews (volume 5, no. 3). GIVE TO HELP KEEP VICTORIA AVENUE BEAUTIFUL.